Exactly what you said! I love your blog and am thankful you share it. I understand this is your space to freely express yourself: keywords being “your space”. I love your blog, it isn’t self absorbed or a cure for insomnia. It is a terrible shame that people feel the need to pull out the “I’m sicker than you” card or the “my situation is worse” card. I have had this kind of comment myself, when I happened to mention that my husband and I had held a party, (we hold one every six months so that I get to see everyone twice a year). My troll told me that I couldn’t be as sick as I portrayed myself as they just couldn’t have held a party as they were too sick. 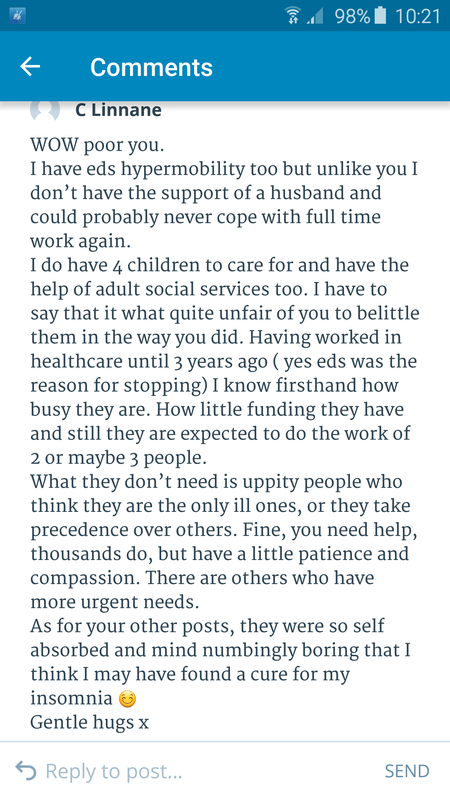 I allowed the comment, despite the hurt it caused me (very much like you) and replied that the parties only happen because my husband does the majority of the work, my friends help out on the night (sorting their own drinks and food) and I have a programme of enforced rest before and after. I was very wounded for a few days after this very insightful person who doesn’t know me decided to judge my entire life on one blog post. I believe I know the identity of your troll should you wish this person to be identified, unfortunately she is known in EDS circles, for telling everyone how awful her life is compared to everyone elses. Just email me and your troll will be unmasked. I like you, find that my blog is a way of expressing myself and keeping myself sane. Keep up the sterling work that you are doing and I am so glad to have found your blog. You have me in stitches most days with your take on life. 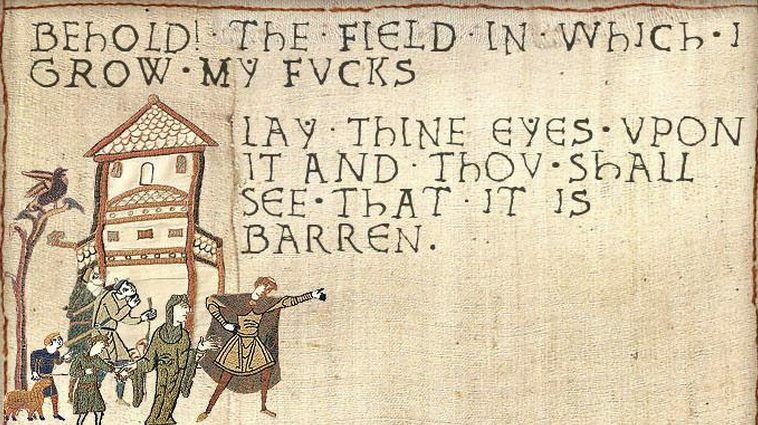 Everything you write I can identify with. And to you troll, get back under the bridge from whence you came. 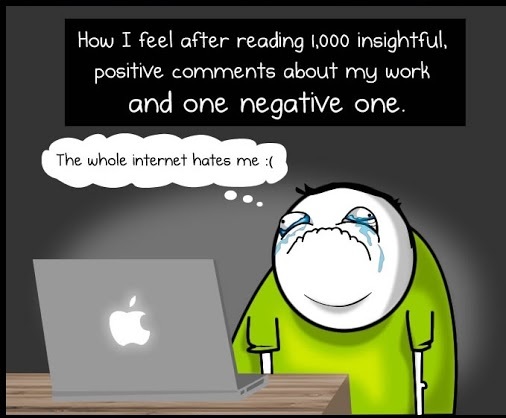 If you are going to comment on a blog piece ensure you actually read it first, otherwise you look a fool and stop boring everyone with your pity posts. That is such a lovely comment. Thank you! I don’t wish to unmask my troll at all, because I’m not sure it would actually do any good. It’s a shame that she feels like that and I feel sorry for her that she can’t enjoy the company and support of you and other people here. It must be lonely under that bridge. Oh I don’t clear up!!! I am lucky someone always stays behind and helps hubby. I am really lucky to have such a great bunch of friends. They may not understand my collection of conditions but understand the physical limitations. 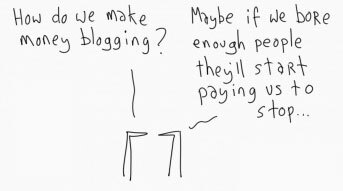 Keep on blogging! Together we shall change the world! Jeebus H Cripes. Maybe your troll and my troll are the same person or closely related. How dare you have a different perspective and attitude. How dare you have some insight and how dare you be positive about any of it. 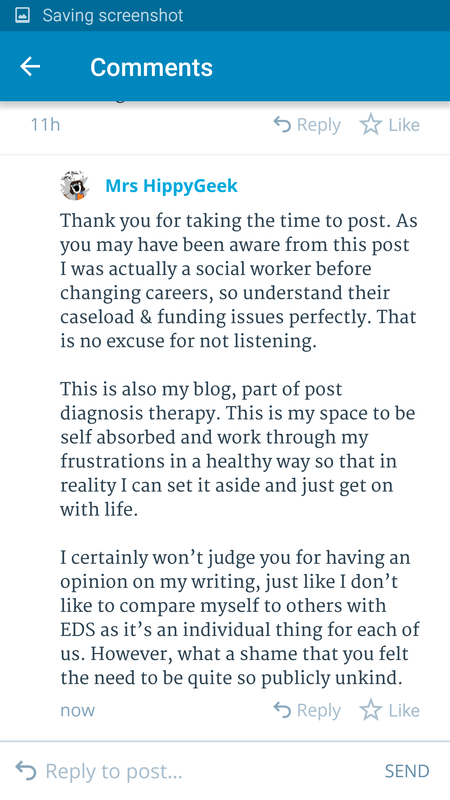 I actually took a step back from blogging about my experiences with Lyme Disease after someone came out of the woodwork to belittle me a little about not being sick enough for their taste. I guess I just never felt it necessary to tell everyone about every single ache and pain and “moment” and rather focus on most of the aches and pain and how I was still seeking out the silver lining and trying to live. That pic is awesome. I really want to learn to embroider just to make one! I considered stopping for a while, but then decided that she can stick her opinion firmly up her bum. I’d never heard of Lyme until I read your blog. It makes you realise what delicate squishy creatures we actually are!